The 260kW Thrybergh project is one of two hydro projects to have been co-located with a 1.2MW/1.2MWh battery. Image: Barn Energy. Battery energy storage is now being used at two of the largest river hydro projects to deliver a range of grid services, load shifting and energy trading, with a third planned for later this year by Barn Energy. 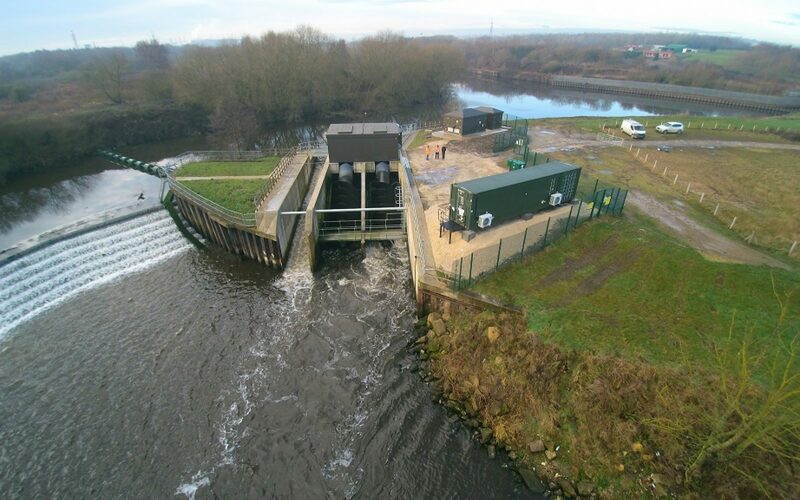 The company deployed the two 1.2MW/1.2MWh batteries at the 260kW Thrybergh project, on the Rover Don near Rotherham, and at Knottingley (500kW), on the River Aire near Wakefield in mid-January. It is thought this is the first time that battery storage units have been deployed in the UK in combination with low-head river hydro schemes. Barn Energy worked with its sister company Eelpower to deliver the projects, with the BYD batteries installed by Anesco. Each is currently delivering on a two-year contract to deliver Firm Frequency Response (FFR) for the National Grid and were in place to export during the last two Triad periods on 5 and 26 February. This multiplied Thrybergh’s output by five times its original capacity and Knottingley’s by two and half times. Aggregator Limejump picked up the contract to remotely control the batteries through its virtual power plant and when not performing FFR or TRIAD services, will use the batteries load shifting and trading to maximise the revenues at each site. Erik Nygard, chief executive of Limejump, explained: “Partnering with innovative companies, like Barn Energy and Eelpower, that are committed to developing sustainable energy infrastructure is a cornerstone of the Limejump vision. Both batteries were also pre-qualified for the recent Capacity Market auctions but a decision was made not to take the T-4 exit price. However, both took up T-1 contracts for delivery this coming winter. 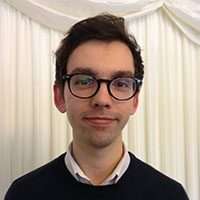 According to Simon, a similarly diverse ‘stack’ to that secured by these projects - FFR, Triad avoidance, Capacity Market, load shifting and energy trading – is the secret to making battery projects a success, particularly when placed with hydropower. "You have to make them all work, that is your aspiration. The nature of a battery is that it is like a Swiss army knife, it allows you to do a number of things. The business model is being developed by people like us, and hydropower is a great place to have it,” he told Clean Energy News. "Shifting solar to make money at peak red periods has been a very good story. That said, hydropower is even better...around 64% [of supply of electricity to a battery comes from the hydro]. Rivers run all the time and that's been a real economic eye opener to us because that electricity is much more economic to us. Barn Energy is currently developing a third project in Wakefield and Simon is considering approaching third parties with hydro assets to negotiate further battery projects.